First up. if you haven't read about my awesome experience with Analog Hostel for my 2016 Bangkok trip, do check it out HERE. And so for our 2016 BKK itinerary planning, the 5 of us decided to each come up with 1 place of interest we would really like to go and plan the overall itinerary around them. Needless to say, my google search keyword included animals, pets and cafe and Little Zoo Cafe immediately popped up! It's a little tricky to get to the cafe, but you may either catch a cab from Mochit BTS or book their shuttle van on their website at just 100 baht per pax per round trip. The shuttle pick up point was simply stated as Exit 1, which caused a lot of confusion among patrons. Well, the real pick up point is actually a short walk away after you came out from exit 1. Just follow the road (towards Chatuchak Weekend Market) until you come to the junction, cross the road and you will see their local police station. The shuttle van pick up point will just be in front of the police station. We took the earliest shuttle pick up time of 945am and reached the cafe at barely 1015am and had to loiter around the cafe as they do not open until 1030am. But they let a yoga meowster out to the 'holding bay' of the cafe to entertain us while we waited around for the 15 minutes or so, before we were asked to change into their slippers and wash our hands and allowed into the cafe. Some shots from my vantage point. Haha, we were given the tables up on the loft, which was a little scary to climb down at first. But oh well, it's really not that scary after all. For you big feet ladies (like yours truly), just remember it's easier to go sideways than risk tipping your feet over the ridiculously narrow threads. The cafe seemed a little too small at first but there's actually level 2 (via the white stairs at the back) with raccoons, more cats and a snowy white owl. I was hoping to be able to interact with the raccoons, but they were caged all the time we're there. 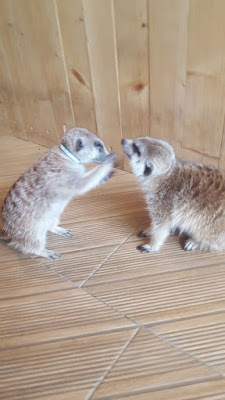 Back to level 1, apart from the free roaming cats and a Yorkshire Terrier, there's also a separated room housing the meerkats and fennac foxes. 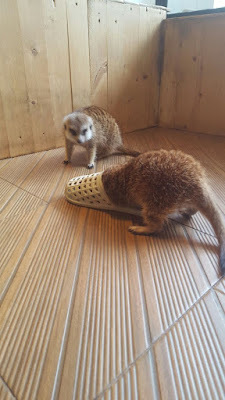 The meerkats were just so adorable! They seem to have an obsession with our rubber slippers as they kept pulling them off our feet sneakily and trying to dig through them. Gave us a lot of laughter with their comical actions indeed! There's three fennac foxes in total, 1 male with 2 females and just so happened that the male fox was in heat when we visited, so he was a little aggressive and protective over one of the female fox (we presume is his mate). Fortunately for us, the other female fox was so sweet and tamed! They're really tiny and their fur so soft and smooth. Still managed to steal a selfie with the aggressive male fox... from a safe distance. And now, back to their food! I have to say, we were all blown away by the quality of their dishes! Though seriously lacking in latte art, their hot latte was still pretty good and I could easily drink it without any added sugar syrup. I wasn't too focused with the food ordering (was preoccupied with the animals) but I definitely heard "egg", "lava" and "set". Slightly tricked by the name of 'egg lava' we all thought the bulge in the middle is some oversized poached egg and even video-ed down the slicing process, only to find out it's just fried rice contained within. Nevertheless, this is still some tasty "seafood omelette fried rice". We had a unanimous reaction at our first bite of the fish. The fish fillet tasted really fresh and solid, not like the usual thin and flaky type of fish that has more batter than actual fish itself. The batter was also perfectly done; crisp and flavourful yet overly thick. And those waffle fries, how can anyone find fault with them? The waffle was pretty well done, crisp on the outside, soft and fluffy on the inside and slightly sweet. But those eggs were so raw we really do not understand the rationale of not cooking them longer. Who eats egg whites raw (see that translucent blob of uncooked egg white there)? Would have been an enjoyable dish if it weren't for the almost raw eggs on top. I highly suggest that you make a special order for more well-cooked eggs if you were to order this dish. This is definitely a decent ham and cheese sandwich, but simply pales in comparison to the other dishes, especially the fish and chips and the pasta. Or perhaps by the time we got to the sandwich, it has already turned cold so the toast wasn't as crisp as I would like it to be and the cheese not as runny as I would have imagined them to be. This is just heavenly. If you do take spicy food, YOU MUST TRY THIS. I know the blacken pasta (squid ink?) looks a little funky, but I can assure you it wouldn't stain your teeth black. Savoury, spicy and with bits of crab meat and ebikko (shrimp roe) within, this pasta is just bursting with flavour with every bite. Price wise, it's pretty reasonable. It's definitely not as cheap as the street food, yet significantly cheaper as compared to the cafes we have in Singapore. A dish typically cost about $15 SGD or so. There's no entrance fee to the cafe, but I do believe all patron has to make at least 1 individual order each. The cafe is quite a novelty with those cute furry animals. It is nice that they make extra effort to keep the place clean. This is such a fun cafe to go to! I really like the idea of being able to pet the animals while you're there. The food looks great and I'm glad you enjoyed them. What a novel idea for a cafe. They should work hard to keep the cleanliness though, especially they are dealing with food. The smell and litter should be conscientiously maintained to a minimum. We love being able to interact with animals and to be able to do that while also enjoying good food is awesome! The food looks great and it's definitely something that the kids and I will enjoy. Such a nice concept with so much things to do while dining in...great for spending time with friends or family. 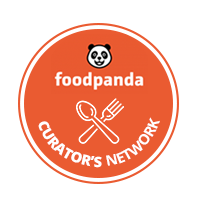 Nowadays, great cafe concepts are mushrooming all over the world. This is wonderful. It will be great to spend some times in this cafe especially having some experiences and fun with the pets. I've never heard of this cafe before and it would be fun to visit this when I'll be in Bangkok. I hope that while the animals are taken cared of, the place will also be constantly sanitized so that the food are always clean. This is a nice concept especially for pet lovers. They do serve delicious food too. It's nice that they have a fox too. This concept quite unique! Loved the fur friends that you met. This is so cute and we too have got few pet cafes in Singapore and definitely a blessing for pet lovers. Definitely adding this to my itinerary when I go to BKK end of this year!!! This is something I would absolutely love to visit. I can get a cup or two of coffee while I accompany my little man to check out the animals around! They also have something similar here in the PH, I have yet to visit one, though. I am fascinated with the Little Zoo Cafe. I haven't been in Bangkok but if I will be there by next year, I will definitely try it out! The animals are so cute. 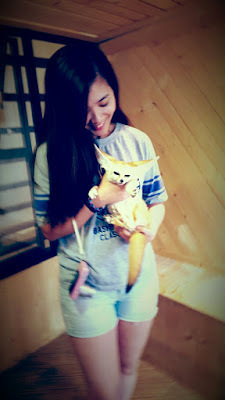 I thought you cannot touch them and then I got surprised when I see your photo with a cute fox. Would definitely try the foods too. :) Nice blog!